Unlock Potential in Your Zero Balance Accounts | Parathon Software by JDA eHealth Systems, Inc. Many times the accounts in a zero balance are ignored or are not a focus to increase revenue for a hospital system. At Parathon, we have a different opinion. 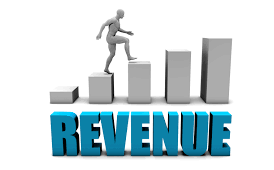 We view these accounts as potential lost revenue and have the ability to find out how accurately your payers are paying the bills. This could lead to current lost revenue, but also opportunities for future bills to be paid accurately, thus higher revenue going forward. Parathon has the only solution to leverage proven and proprietary technology to support a zero balance review with 100% adjudication capabilities. Our customers typically see an immediate impact to net revenue while pinpointing root causes which can unlock 0.5% to 20% of additional revenue. Do the math on that and wow! Our low risk contingency based pricing model translates into an attractive ROI on revenue not previously identified.